You can’t ever miss the bright red Red Dot Museum, where Hopscotch lies. 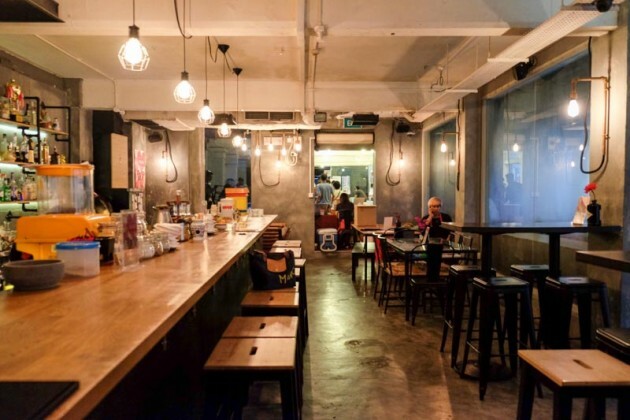 A no frills and cosy bar that serves up crazy blends of cocktails ready to wow your palate away. 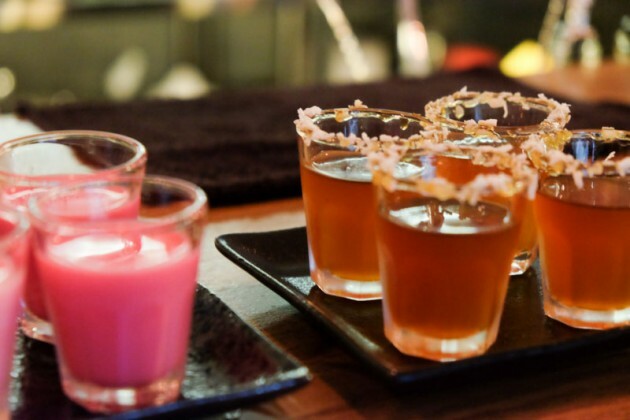 I’m talking about Kachang Booze ($24), Bandung and Ondeh Ondeh shots (a pair for $10), Liu Sha Jiu ($23) and many more. If not obvious enough, Hopscotch takes their inspiration from the food we eat everyday, tweaking it a little to make it even better with spirits. My favourite of the lot is definitely the Jam Of Briyan ($22) cocktail. I know it sounds dubious and savoury cocktails aren’t as welcomed as the sweet ones but I think I’ve found my refuge. I’ve always liked my cocktails more on the sour or herbal side, so a savoury one was extremely comforting for me and this one right here, really packed a full briyani flavour with hints of alcohol. The spices were all inside and it left a lingering fragrance. Topped with a papadom, which is just sheer pleasure for me, the drink was a complete meal, there was no other way I’d rather have my briyani. 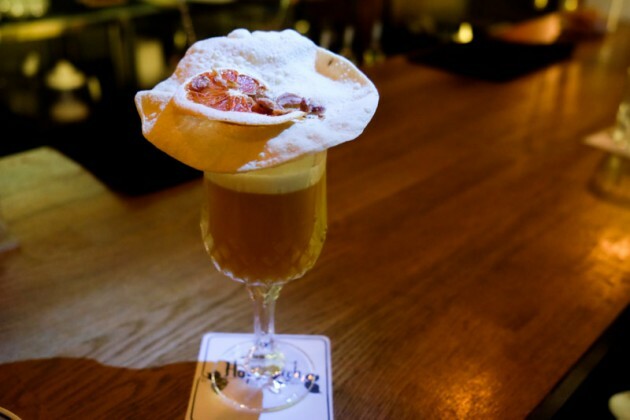 Another unique cocktail that really captured my heart was the Chicken Soup For The Alcoholic Soul ($24), which was the winning drink showcased in the Youngest Bartender Award 2015. 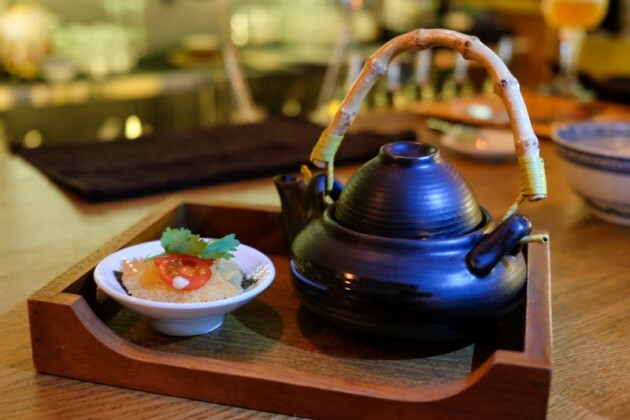 It was exceedingly hearty, much like a chicken soup, slightly salty and definitely savoury, with a slight sear from the spirit that heightens the essence of the soup. When combined with the rice crackers, I was starting to doubt if I ever wanted to have a normal chicken soup ever. Hopscotch is conveniently located near all your busy bees in the CBD and they stock a good variety of board games. In addition, there are live bands singing and that’s really all you need for a good de-stress session.